Apple has started teasing the opening of their new Grand Central Terminal retail store. 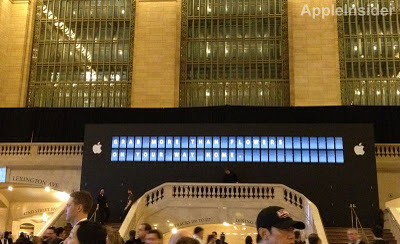 I was in Manhattan for the iPhone 4S launch and the store front still had the black facade up. 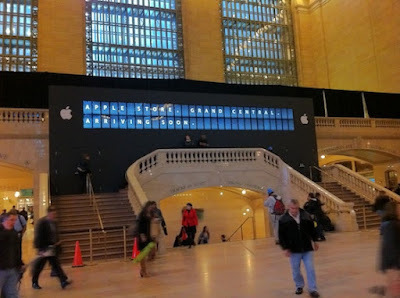 I'm looking forward to taking a new trip down to New York City in then few weeks to check out the new 23,000 square foot Apple Store. Here's another shot of the store with it's teaser billboard.